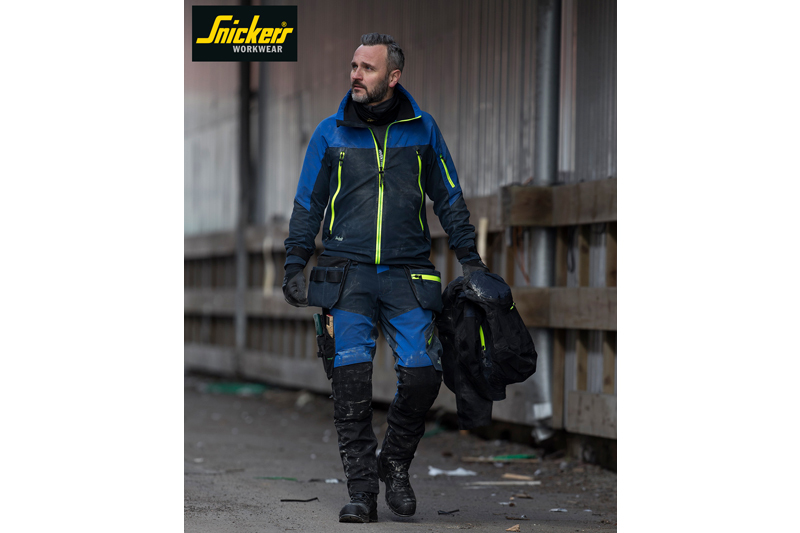 According to Snickers, its new slim-fit stretch trousers deliver extreme working comfort. Hi-tech fabrics and body-mapping designs in the FlexiWork SoftShell Trousers help to ensure maximum working mobility wherever you are. The brand new four-way stretch comfort fabrics that are integrated into these trousers deliver enhanced freedom of movement, as well as improved ventilation and overall comfort. Finally, the trousers have a slimmer tailored fit for protection against snagging, and Armortex Kevlar reinforced stretch fabric in the KneeGuard Pro System for greater flexibility, comfort and durability.